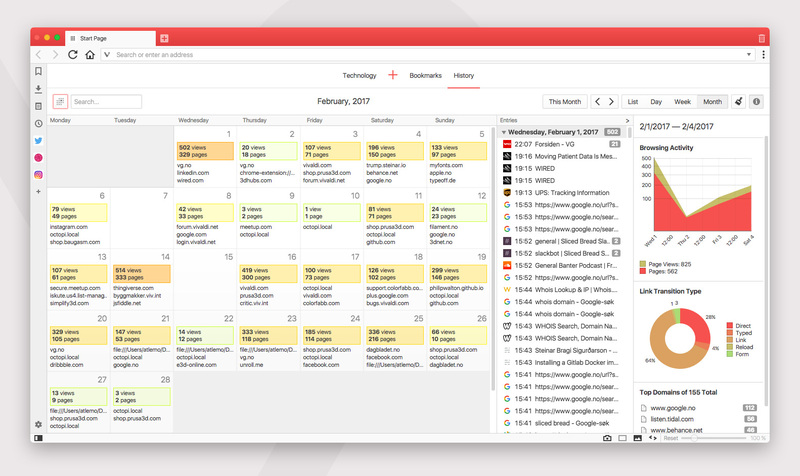 OSLO, Norway –29 March, 2017 – The Vivaldi browser today unveils the new History feature, giving users insights into their online behavior. The latest release also includes more options for taking notes in the browser, powerful sound control for tabs and other improvements. Vivaldi’s new History feature lets users explore their browsing patterns, backed by statistics and visual clues. The new History feature lets Vivaldi users quickly scan through visited websites and get helpful hints for finding old URLs. 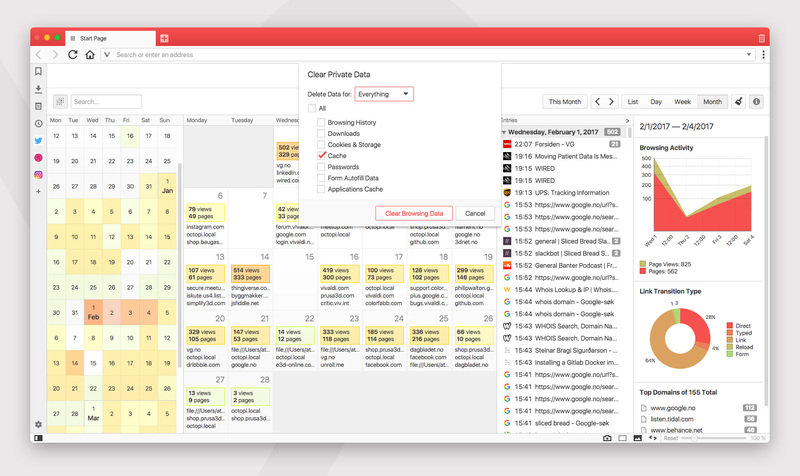 In addition to the list of URLs offered by most browsers, Vivaldi shows history in a calendar view with detailed statistics about previously visited sites. Graphs and a color-coded heat map overlay add another dimension, showing peaks of online activity and key browsing trends. All this data helps find previously visited web pages even when users cannot remember the right search term. Vivaldi’s history puts searches in context – it may be easier to find an old URL if the user recalls seeing it on a certain day when he or she was particularly active online. 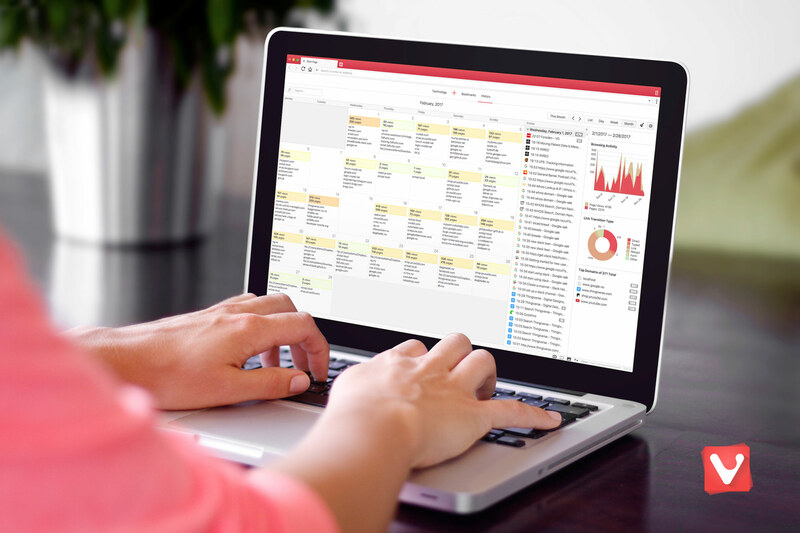 Vivaldi users can also narrow down the search to a date range either from the monthly view or from the Day Picker Calendar. In addition to that, users can filter search results by date, title, address and views. All of this information is strictly private and local to a user’s computer – Vivaldi Technologies doesn’t collect user’s history data. With the ability to analyze this information, users can decide if they want to adjust their online behavior or remove certain items from the list. 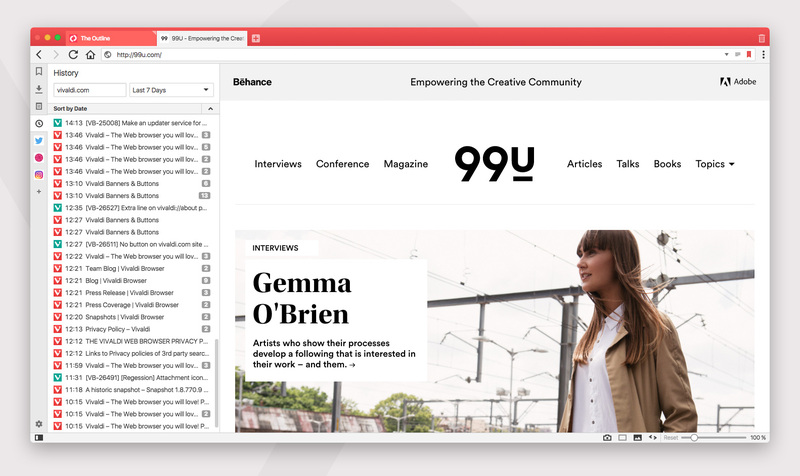 Vivaldi’s Side Panel with fast access to bookmarks, downloads, notes and websites of users’ choice now also includes History. Clicking on the History icon will reveal a list of previously visited URLs alongside open websites. This way, users can quickly search through history without leaving the current page. Create notes with drag-and-drop. 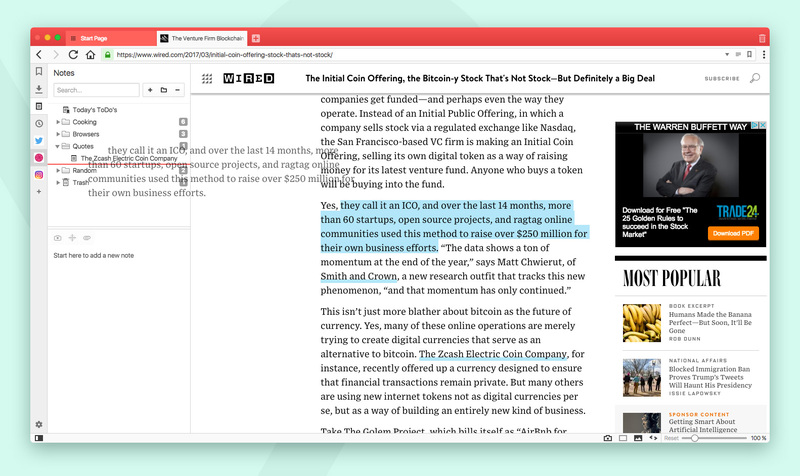 Vivaldi lets users take notes in the Side Panel as a convenient way of adding thoughts and ideas to websites. It is now possible to create notes by simply dragging and dropping selected text into the Notes menu – not only from the browser itself, but from any other application. Users can also right-click on the text on the website they’re currently browsing and select “Copy to Note” from the drop-down menu to create a new note. Advanced tab muting. Vivaldi offers many ways of controlling unwanted noise in the browser, and the latest release adds new options for muting tabs. Users can now choose if they want to allow sounds in all tabs; only let the active tab play sound or let the background tab play sound, as long as the active tab doesn’t.